ACole’s debut record, It’s a Sports Term, is loaded with just that—sports terms. The opening track, “Hat Trick,” is essentially a rant about how uncultured our copy team is. 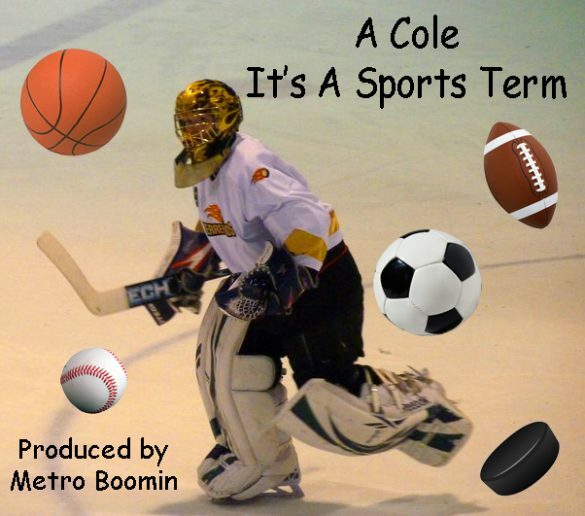 In “This is How It’s Said,” ACole lectures listeners on the importance of proper sports terminology by repeating the phrase 46 times throughout the three-minute track. The standout track is “ESports.” Here, ACole incorporates synths, banjo and even a sitar, while attempting to convince the audience ESports are real sports that require strength and endurance. In the end, every song on the album sounds the same lyrically. It’s simply a salty mess—and that’s coming from CsaltSanza, so that’s saying something. I would say he should just stick to sports, but if he did, his second album would be even more of a disaster. This was still pretty lit tho. Lit is a sports term, btw.